For sleepers looking for a pillow that is cool and lofty and uses natural materials, duck down may be the way to go. This review is going to look at the new Cirrus duck down pillow by Slumber Cloud. The Cirrus duck down pillow is an all natural 100% duck down pillow with a cotton cover. It’s lightweight, natural, and high loft- but will duck down be all that it’s quacked up to be? Keep reading to find out! In a hurry? Click here to jump straight to the summary. This natural down pillow is both hypoallergenic and super fluffy! Save $15 on your entire Slumber Cloud order! 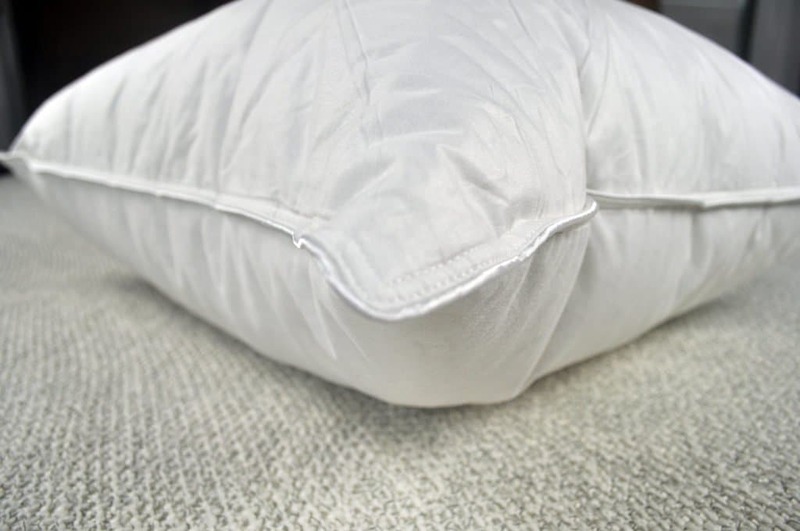 The Slumber Cloud Cirrus duck down pillow is filled with 100% North American white duck down for a soft and lofty feel with a 600 fill power. It has a lofty feel to it and is extremely lightweight. What is fill power? 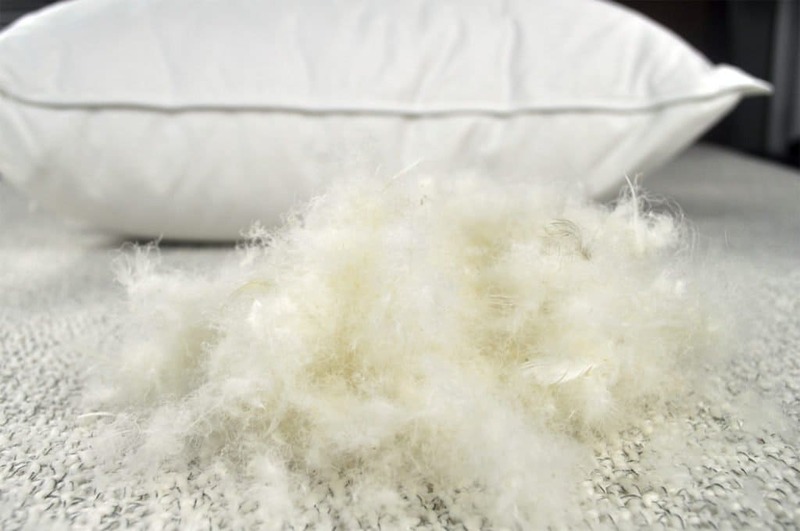 | Fill power measures the overall loft and fluff factor of a down pillow. The higher number means more air that can be trapped by the down and insulate the sleeper better. Less than 300 would be considered low quality, 400-500 is medium quality, and 600+ is high quality. The fill is certified organic by GOTS (Global Organic Textile Standard), which ensures that the materials are safe and free from harmful chemicals. FAQ: What does it mean to be certified organic? This pillow is available in the following pillow sizes: Standard (20” x 26”), Queen (20” x 30”), or King (20” x 36”). The cover of the Cirrus duck down pillow is made of 100% cotton with a sateen finish that has been infused with Outlast technology. Outlast is incorporated to help absorb, store, and release excess heat. The cotton has a 300 thread count and is both soft and breathable. In addition, this cover is hypoallergenic, which makes it a great option for sleepers with allergies. This cover is not removable but the whole pillow is machine washable on a cold cycle and can be dried on low heat. The feel of the Slumber Cloud Cirrus duck down pillow is extremely light and airy. On the Standard size pillow, the fill weighs only 18 ounces. This pillow has a slower response time despite its lightweight feel and produces a high amount of hug and contour. This pillow is available in three different firmness levels: soft, medium, and overfill. Per the manufacturer’s guidelines, the soft firmness is recommended for stomach sleepers or those who are looking for less support. The medium firmness is a nice choice for back sleepers and want a medium level of support. The overfill model is recommended for side sleepers who are looking for maximum support. I tested the medium firmness pillow. When sleeping on my stomach, the medium had a bit too much loft and contoured my head a bit too much, causing the sides of the pillow to flare up. When sleeping on my back, the medium was about right. The fill was supportive enough that it cradled my neck, but not overfilled. Lastly, when testing this pillow on my side, I could have used a bit more firmness. I noticed this pillow overly sinking and causing me to want to fold the pillow in half or put an arm under the pillow in order to provide the support I was looking for. Smell – There was a very minimal smell to this pillow. Should I buy the Slumber Cloud Cirrus Duck Down Pillow? 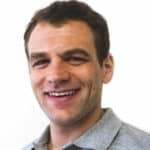 Want a hypoallergenic pillow – For sleepers who suffer from allergies the Cirrus duck down pillow may be a great option for you. It uses a hypoallergenic cover and all natural 100% duck down. For a greater defense, you can also add the Slumber Cloud Nacreous pillow cover. Want certified organic – This pillow is certified organic through the GOTS certification and is guaranteed to not use a list of harmful materials or manufacturing processes. 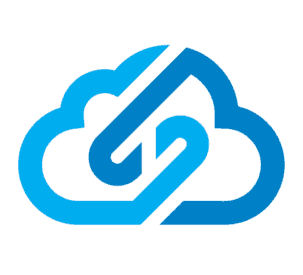 This certification is ensured through a third-party review process. Want a natural down pillow with firmness options – Sleepers who love the lofty hug of a natural duck down will likely really enjoy the Slumber Cloud Cirrus pillow. However, this pillow also has softer and firmer options to accommodate sleepers of different positions. This is unusual for a pillow of this style and a nice bonus. For more information on Slumber Cloud’s Cirrus duck down pillow, visit slumbercloud.com. 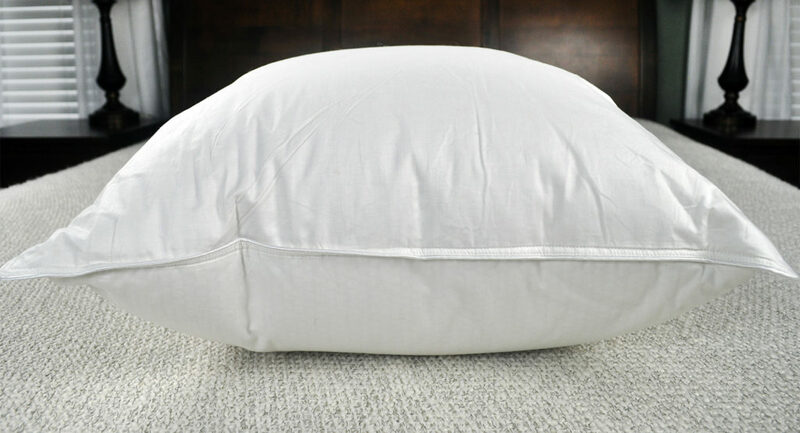 The Slumber Cloud Cirrus duck down pillow is a 100% natural down pillow that is lightweight and lofty. Available in three different firmness options, the Cirrus pillow is able to provide necessary support for a wide range of sleepers. In addition, it is hypoallergenic and incorporates the use of Outlast technology in the fiber, which helps to absorb, store, and release heat as you sleep.